CBNS CIs Professor Maria Kavallaris and Professor Justin Gooding published a revolutionary paper on early cancer detection in Nature Nanotechnology today. This publication was a collaborative teamwork together with CBNS alumna Dr Roya Tavallaie, CBNS members Dr Joshua McCarroll, Dr Marion Le Grand and CBNS alumnus Dr Nicholas Ariotti. A revolutionary blood test being developed by Australian scientists may make diagnosing cancer as simple as a pregnancy test. Touted as the Holy Grail of cancer research, the test offers the chance to detect malignancies when they can be more easily treated, long before they appear on imaging scans. After successful trials on animals, researchers are now working on adapting the test so they can screen for almost any type of cancer within a half-hour of taking a simple finger- prick blood sample. Gold-plated nanoparticles have been developed to seek out and attach to cancer biomarkers in the blood. The diseased genetic material is then extracted by magnetising it. The Australian research scientists believe their blood test could become a regular and cost-effective method of screening for cancer over the next five to 10 years. The Federal Government’s Australian Research Council set up the centre in 2014 to drive development of vaccines, drugs, gene therapies and treatments through collaborations with leading medical institutes and universities. Genetic material known as microRNAs, once thought of as nothing more than “junk” discarded into bodily fluids by DNA, have recently been shown to be more important. Levels of microRNAs in blood have been found to rise in the presence of cancer. But concentrations are so small they have been detectable only in costly laboratory processes taking more than 12 hours per sample. 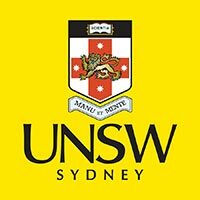 But the collaboration between the centre and teams from the University of NSW and Prof Maria Kavallaris, of the Children’s Cancer Institute, was able to bind magnetic gold-plated particles to the microRNA so they could be captured with a magnet and removed. The breakthrough Au@MNP sensor, revealed overnight in the journal Nature Nanotechnology, can detect even the smallest quantity of microRNA, before cancer has developed. More than 2500 different types of microRNAs have been confirmed in humans, and Prof Gooding said each had the potential to be an indicator of different cancers. Research would have to determine which applied to each cancer, to adapt a “capture” test for each. The Sydney team hopes to refine the technique before testing it in clinical trials.